In life you can plan for most situations however, there are times when the unexpected occurs when you’re least expecting it. JCW Electrical Group operates an efficient 24/7 service model, this means that when a unplanned electrical event take place at home, the office or larger domestic premises we’re here to resolve the situation, no matter the day, time or its complexity. Our team of friendly competent technicians are experienced to deal with a broad range of emergency situations. They will arrive promptly on time, provide diagnosis and rectify the issue at hand quickly then leave the premises neat and tidy as when they arrived. Call one of our friendly staff on 9721 1436 to make a booking and please advise if immediate response is required. JCW’s online management system enables us to track our service levels at every stage of the job order life cycle. Our technicians receive work orders via state of the art tablet devices, this enables relevant information to be tracked and stored in real-time, and also ensures zero invoicing discrepancy once the job order has been closed out. 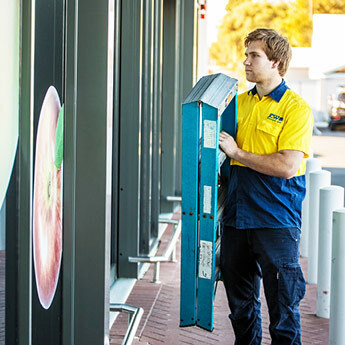 As part of JCW’s ongoing commitment to our clients, we tailor preventative cost efficient scheduled maintenance programs that meet Australian industry best practice and statutory requirements. Our proven maintenance capabilities lower client costs, reduce operational risk and fundamentally improve asset reliability and safety. With extensive experience operating throughout Western Australia and in various challenging environments, JCW Electrical Group’s track record for reliable delivery is demonstrated by its significant portfolio of satisfied customers and clientele.